Venue: Koning Willem Ii Stadion, Tilburg. VVV will enter the first game of the season high on confidence after a strong pre-season run. They won four and drew one of five games conceding just two goals in the process even though they played the likes of Werder Bremen and Twente along the way. Willem II thus might struggle to create in the final third here, especially if we know they failed to find the back of the net in each of last two defeats in friendlies against Sparta Rotterdam (0-2) and Greek Aris (0-1). The new manager Adrie Koster is thus in for a very tough task to keep Tricolores in the top flight after this season given he possesses one of the most modest sides in the competition. 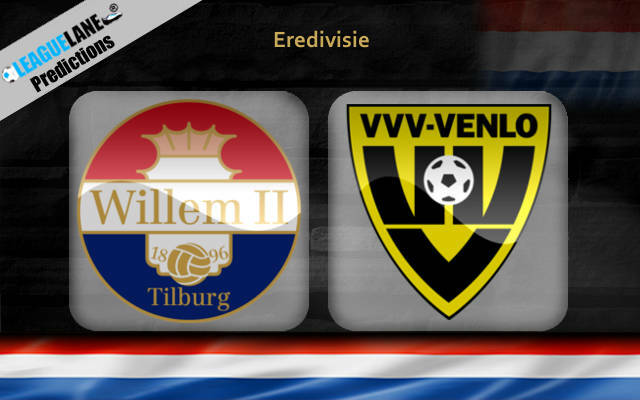 VVV lead the head to head tie by two wins coming into 15th encounter with Willem II. However, Tricolores bagged three goals in each of two last term meetings with Venlo, taking four points in the process. Willem II won four and lost three of seven H2H games with the Good Old in front of the home fans. Willem Ii will rely heavily on Fran Sol who bagged an impressive 16-goal tally last year and decided to stay for another season to help Tricolores in the relegation battle. Nevertheless, the Spanish forward will certainly face troubles breaking VVV’s solid defensive line down here given by the visitors’ performances during the off-season. You can have Willem Ii not to score two or more goals at the 1.66 odds here, while the away win or draw double chance is offered at the same price. Braver punters might even fancy the Good Old to win the match at 3.10. Bosnian midfielder Tino Susic will be the one to keep an eye on here as he notched two goals in last three friendlies for VVV. VVV or Draw Double Chance @ 1.66.